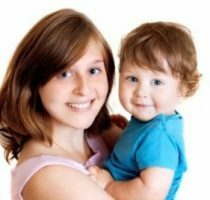 When parents are looking for quality child care, often times the question arises; What is the difference between a nanny and a babysitter? A babysitter is someone that just comes on occasion usually for a date night here and there. You may use the same babysitter every time or have a list of different babysitters that you call. It is very common for a babysitter to have many families that they babysit for whereas a nanny usually has one main nanny job that is their primary source of income. Nannies in general, come to your home more regularly, and either work part time or full time and usually have a specific ongoing schedule. There are even nannies that live-in with the family. Nannies will often help with light housekeeping, laundry, cooking and play a big part in the family dynamics. They play the parent’s role when the parent’s are working, therefore they have mighty big shoes to fill. Do you want to know how much to pay your nanny or babysitter? Click here for more information.